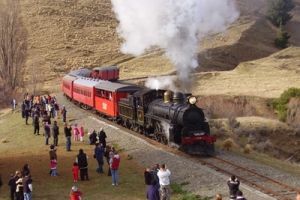 This is a historic rural railway using both vintage steam and diesel-electric locomotives on 12.8 km of scenic line through the unique limestone beauty of the Weka Pass out of Waipara where superior weather patterns provide crystal clear air and high sunshine hours. The Weka Pass Railway is a totally voluntary organisation, whose members are dedicated to the preservation of New Zealand's rail heritage. Initially the railway runs across flat farm land and passes a large irrigation reservoir and vineyards, before climbing grades as steep as l:50 ( 2% ) as it winds through the cuttings in the Pass. Paintball, Lazer Tag, Climbing Wall and Carousel. 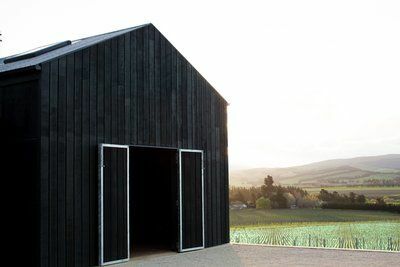 A family owned vineyard on the warm, sunny slopes of the Waipara Valley, where the vines grow through clay and limestone soils to produce intense wines completely expressive of this site. Our wines are hand crafted using artisan techniques and a dedication to creating exceptional Waipara Pinot Noir, Chardonnay and Riesling. We offer transportation to the heart of the St James Valley, where you can tramp, mountainbike, kayak or just enjoy the breathtaking views. 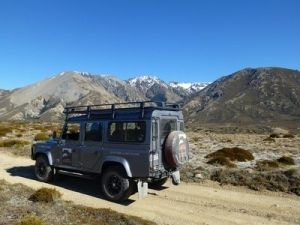 From Hanmer Springs, we take the Clarence Valley Road in our Defender and drive down into the Waiau Valley. Andrew, your driver, is very knowledgeable about the history of the place and would be delighted to share it with you. At St James Journeys, we can cater for any kind of trip you'd like, and offer customized packages to suit your requirements. Simply contact us for a quote and we'll be delighted to take you to your next adventure. Just forty minutes north of Christchurch city lies one on New Zealand's fastest growing wine regions - Waipara. Nestled in the heart of this burgeoning valley is the impressive Waipara Hills complex. 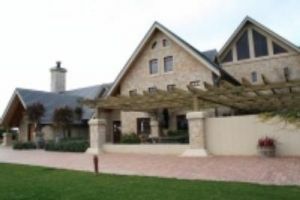 Waipara Hills offers a selection of premium award winning wines, creative cuisine, exquisite New Zealand made giftware and a warm friendly atmosphere. Waipara Hills is open seven days a week for fireside or alfresco courtyard dining with views across the vineyard. Waipara Hills is also the perfect venue for weddings & private functions.